Norman Disney & Young’s Graduate Program will equip you as a graduate engineer with the knowledge and skills to build your career. Commencing your engineering career with NDY means that you will become part of a unique international team of consultant engineers. As a graduate you can work with a team that design landmark developments, propose to international panels of construction practitioners and work on-site with a team of engineers, contractors and tradespeople. NDY recognises you are unique, and your development is essential to your success and future growth. 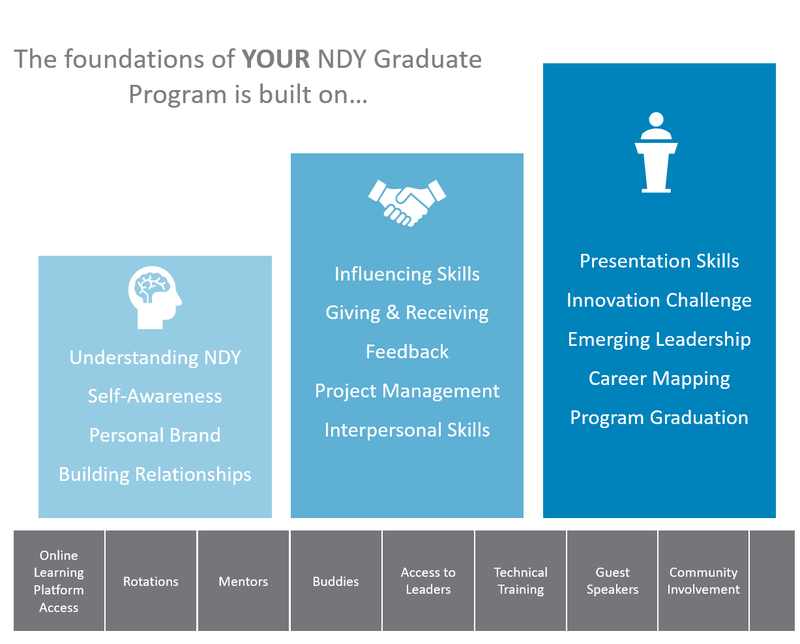 As an NDY graduate, we offer you a comprehensive two-year development program. Focused development activities will give you an opportunity to build the skills and knowledge essential for a successful career as a consultant engineer. The support of exceptional coaches, mentors and leaders. By developing multi-faceted skills, you will have the opportunity to become a respected member of a team of consultants who are focused on providing our clients with professional service and technical excellence while meeting project deliverables.